Sixty years ago on 6 July 1957, John Lennon and his band The Quarrymen followed a marching band through the streets of Woolton to play at the annual St. Peter’s Garden Fete. That afternoon he met Paul McCartney and together they went on to change the face of music forever. 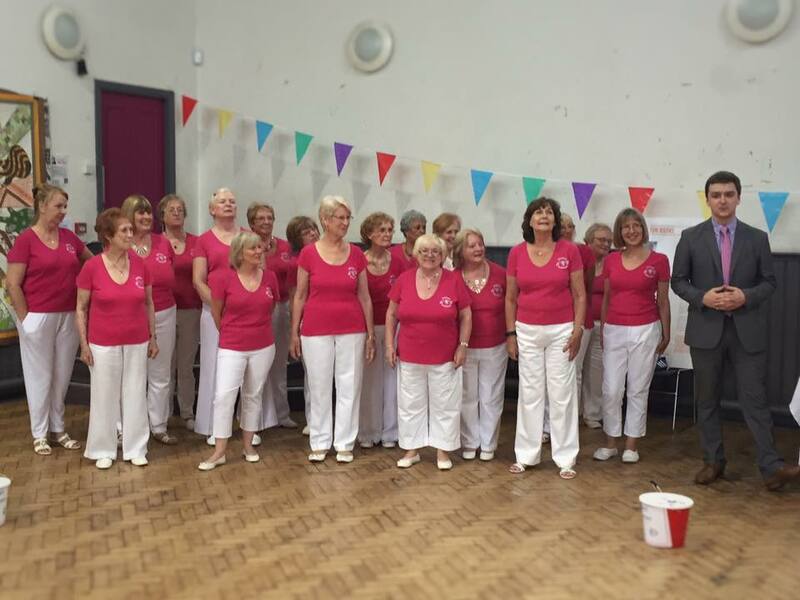 Mersey Harmony were delighted to be invited to join Woolton community to celebrate this momentous occasion. 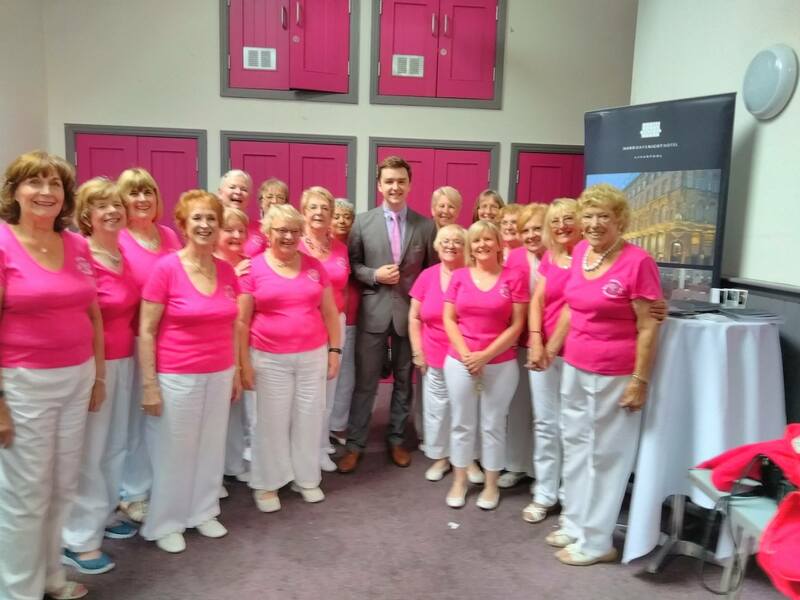 Around 20 members of Mersey Harmony sang a variety of songs from their repertoire including Beatles favourites, Penny Lane, With a little help from my friends and a Mersey Harmony favourite, ‘Something’. Some of us met an original member of the Quarrymen. It was a wonderful occasion rounded off with short history lesson about Woolton and a tour of St Peters church including a visit to Eleanor Rigby’s grave. All in all a FAB sing-out!